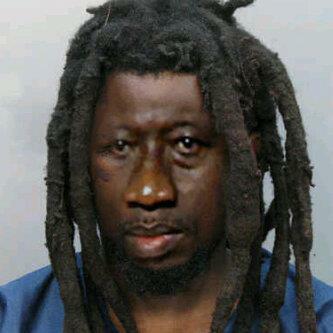 The Presidential Joke called Jonathan! Were it not a matter as serious as ruling over a strategically important country called Nigeria, the man Goodluck Ebele Jonathan would have been a highly interesting and enjoyable subject of ridicule in late night comedy shows. A subject of entertainment in banters over mugs of Palm wine at the palm frond bar in a typical African setting! Banters that should trigger a spate of uncontrolled laughter in the casual beer parlor in every busy urban district of an African metropolis! Unfortunately however, this is not a joking matter. It is a matter that borders around the serious crime of toying with the collective destiny of millions of people and the existence of an entire nation. It is a matter of playing the game of personal enrichment and enjoyment of pleasures and goodies without a clue whatsoever on the serious responsibility of holding a nation in cohesion and fostering a common identity. It has always been a poorly guarded secret in the rumor mill that the President of Nigeria Goodluck Ebele Jonathan (a man of questionable academic integrity) is one who loves indulging in sessions of nocturnal boozing in one of the private wings of the Presidential palace. The veracity or otherwise, of this claim is better left to his conscience and the conscience of those who are close to him and work hard to exploit his position for corrupt gains of a personal nature. We will address this issue later in this discourse. I recall a comment made by President Jonathan in one of his media outings very early in his Presidency. The comment was roughly in the tone that he was not a military General and could not be expected to move around with a whip in the hand to flog Directors of government agencies, who are notoriously acclaimed for making a mockery of the opening hours of government offices and come habitually late to work. I was one of very few commentators at the time, who spotted the President’s serious problem with public communication and the articulation of progressive ideas. Many admirers applauded the President agreeing with him that the dictatorial days of military repression was a thing of the past. The underlying stupidity however, of indirectly encouraging late-coming to work by Directors of government agencies by issuing them a blank check in this respect, was obviously lost on the “follow-follow” admirers. Even the President, who did not intend to transmit this impression, hardly knew any other way of expressing himself without sending the wrong message. It finally came to a head when the Present a few months later, did a roadshow interview for CNN in the snow-cladded streets of the noble Swiss town of Davos on the sidelines of the World Economic Forum attended by world leaders. The stage-fright, the stutters, the incoherent articulation of loose facts and the outright delusional self-aggrandizement as the ultimate achiever of the comatose power sector was lost on no conscious observer. It was even made worse by the President’s outing in a series of Meet-The-Press sessions before a domestic audience of nationwide television viewers that often go viral on the social media. If he was not declaring that he does not give a damn what the constitution demanded of him, he was busy lecturing the nation that stealing cannot be equated with corruption. Never mind though that the entire world considers corruption as a form of stealing. These became moments, in which many viewers simply felt ashamed to describe Goodluck Jonathan as the President of the country they belong to. He was suddenly no longer the charming poster child that many people admired and proudly fought for in the battle against the Yar’Adua cabal. It was a similar scenario – again – very early into his Presidency when he disbanded the national soccer team to reorganize the soccer federation that had long been riddled with corruption and cronyism. The nation soon learnt that the President had not done his homework properly before declaring the disbandment of the soccer federation. He had not factored in, the reaction of FIFA and the pressure that would be brought to bear on him by interest groups profiting from the filth of the system before making the public pronouncement. He backtracked and chickened in when FIFA bared its claws. He moved on to fuel subsidy and tried to do what no leader before him had ever dared to do talking big about being ready for a revolution when the political soil was more than fertile for a consuming social upheaval. It became clear latest at this point that the President did not have a Masterplan of any sort when it comes to ruling and building a nation. One got the notion that the President was taking a lot of things for granted believing that political leadership was a self-operating system that simply requires the fixing of one notch here and there without much ado. The finesse, the intricate process of managing and confronting several interests and motions at the same time with the requisite astuteness of an intelligent mind seemed like factors that were and still are extremely foreign to the President. How easy and simple the President thought the system would work was even more obvious in his celebration of the privatization of the power sector as a major achievement. Many intelligent minds who have all it takes to know and comprehend the situation better simply rallied behind the pathetic President in celebrating this bankruptcy. It was the same calculation that informed the attempted removal of fuel subsidy. To get out of the way of powerful mafia gangs holding both sectors hostage, the President chose privatization as an alibi stone that would be catapulted to strike three birds at the same time. First: His cronies and financial facilitators would be left off the hook without public clamoring for arrests and prosecution. Second: The constraints of the sector would ease tremendously and a lot would improve under the mechanism of the competitive market economy. Third: His financial facilitators, who made up the same criminal mafia would buy off the sector from the government and thus stay richer and happier and still remain the President’s friends. The first and third calculations have worked very easily in the privatization of the power sector. Unfortunately however, the power situation has not improved for consumers and the public. In all my years of sojourning in foreign countries (and I still stand to learn a lot), I have never seen any sector privatized by any government that has not first been developed and made functional by the same government over a longer period. The operation of such sectors by government often serves to set the standard and threshold for subsequent private operators that should not be fallen short of. After all, every lame duck knows that the primary concern of every private investor is nothing but profit. A system of public control and standards set in advance of privation often force the hands of private investors to keep the standard floating. President Jonathan hardly seems to have a clue on all of these. In the same vein, he had ignored the Boko Haram menace in the belief that those behind it were not making governance difficult for him but merely killing themselves in the name of religious sanctity. Somewhere down the line however, he seemed to have discovered the amount of profit that could be drawn from the bloody insecurity. Budgetary allocations on security became a looting ground for government elements in collaboration with Generals. After all, no one renders accounts on security votes. It is the most prominent no-man’s land for government looters. The result today is the emergence of a ragtag army that is poorly equipped in spite of huge budgetary allocations that are routinely stolen with impunity. The exacerbation of violence in crucial northern states has suddenly become recognized as a political capital if elections are not held in populous states over which the opposition holds sway. Caught in the act with the game-plan oozing transparently, all the government does today, is to deny without yet furnishing a credible and convincing plan on how elections are to be held in states, where the insurgents have made serious gains and are ruling unchallenged. Over 2,000 victims were reported massacred in the past few days with an entire village wiped out in an insurgent onslaught. Yet, the incident hardly found a mention in the domestic media. The President did not lose a single breath of verbal articulation on the tragedy. All the military does is to declare an exaggeration of figures. Now, the nation is debating how best to fight corruption with the President unwittingly triggering consternation in the wake of his utterance that corruption cannot be fought by jailing people. Never mind that corruption is a capital offence in China that is punishable by death and long-term imprisonment in very many other countries of the world including the USA with the array of high-tech at its disposal. Yet Nigeria’s President contends that his focus is not set on punishing corrupt people with imprisonment but on creating a high-tech system that will disengage when people seek to divert funds for purposes other the ones they are meant for. What a joke! The President doesn’t seem to ask himself what high-tech system would stop a government officer from collecting kickbacks. He doesn’t seem to ask what system would prevent the inflation of contract costs. He doesn’t seem to ask what system would stop officers from seeking gratifications before the award of contracts etc. etc. This is the extent of the boundless intelligence of a man ruling over Africa’s most populous nation. Speaking in a fully unacceptable grammatical structure for a holder of a doctorate degree the President even goes further to chastise his opponent for having jailed a former Governor, while he was a military head of state, for stealing an amount of money that was not even enough to buy a “Peugeot” (with all due respect to the French brand). He has been widely quoted as saying “How much did Jim Nwobodo stole? Money not up to the price of a Peugeot and Buhari regime sent him to jail. Is that good enough?” Suddenly the President seems to smell a clue that stealing may possibly be equated with corruption after all. The President now sticks persistently to the fully nonsensical claim that he does not believe in fighting corruption with imprisonment. Yet, Governor Sule Lamido knows too well what his son suffered on charges of corruption in EFCC dungeons in the President’s bid to persuade the Governor to stay with the ruling party and not defect to the opposition. Femi Fani Kayode knows too well what he feared so badly that made him defect back from the opposition to the ruling party and lick back the entire stench that he had vomited about the President and the ruling party. Now, the President is telling the world that the amount of money stolen by Jim Nwobodo should not have warranted imprisonment. This is no doubt, a comment that was made on the spur of the moment in the hyped spirit of crowd agitation and super-stardom. It brings us once again to the notion of disastrous public communication. For a President who has been making the headline for confining all meaningful committee recommendations on fighting corruption to the dustbin, this joke couldn’t have soiled his image any better. It raises the question if truly, alcohol or other intoxicants do play any role in the President’s mien and routine countenance, given the dogged information on the rumor mill pointing precisely to this direction. On the other hand, it has become not only a national embarrassment to citizens of the country that a supposedly highly educated President of such an influential nation often struggles to articulate himself in public speeches making frequent grammatical blunders on top of poor expressions, but eminent personalities of the academic world have also begun to question the viability of his academic degrees. More importantly, the overall perception of President Goodluck Jonathan as a holder of a doctorate degree awarded by a Nigerian university now seems to be throwing in tatters, anything that is left of reputation for higher institutions of learning in Nigeria. Today, whoever criticizes the President is his enemy. No trace of reflections to admit errors to say the least of learning from mistakes. Decorum and high moral grounds are phrases that sound just foreign to the presidential psyche of our times. Gutter languages from the highest seat now mark the peak of the preludes advanced by foot soldiers parading the most despicable of political theatrics. A few days ago some foot soldiers boasted of plans to arrest a former President of critical acclaim stating clearly that the man will die in the prison where he belongs. Today, the President is crawling on all four begging for an audience with the same elderly President that he described only a few days ago as a motorpark tout. 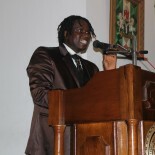 My Man Frisky you are God sent to revolutionize Nigeria through your Pen. Others are chicken but you don’t give a damn and you always hit the nail on the head. When I am reading your article I feel and wish that it will never finish. The more I read the more I want to read. Please we read you always and hopefully wish that those corrupt and clueless fools are reading your article too. Please keep up the good work even if nothing happen you surely did your part. God bless you. This entry was posted on January 13, 2015 by Frisky Larr.